Technology, Entertainment, and Design – these three words combined perfectly describe what TED’s are. And TED is also an abbreviation of these terms. Nowadays nearly everyone heard about these conferences because they always cover a huge variety of topics that are worth promoting – which is also a motto of these meetings. In this article, we will cover what TED’s are, but also show to you which TED presentations that are “must watch” for every salesperson today. Let’s bring it on! 11. Want to help someone? Shut up and listen! A story of TED’s began in 1984 when Richard Saul Wurman observed a convergence of the fields of technology, entertainment, and design. The first conference featured a bunch of innovation such as Compact Disc demonstration or the first presentation of Apple Macintosh. Although even with the help of a famous people of science like Benoit Mandelbrot the first conference was a financial fiasco. It was unsatisfactory to this level that the next TED was organized after 6 years from the first one. 1990’s TED is named today as the annual event, because it was much more successful than 1984 one, and led to the year-by-year continuation of the event. Because of the neighborhood of Silicon Valley in the early years, TED was mostly focused around the tech topics. Throughout the years the profile of the conference evolved and nowadays TED’s cover a large variety of topics from different categories of life like a culture or science. The conference was held in few different locations, such as Long Beach, Palm Springs and Vancouver. 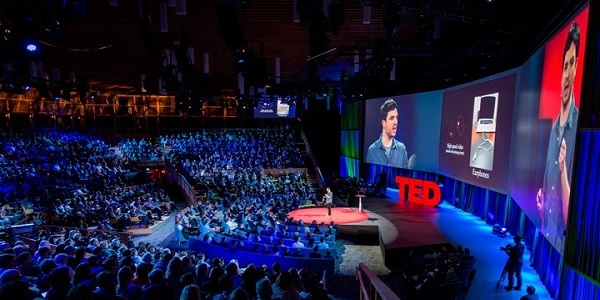 Since 2006 we can watch the live stream of every TED through their website over the CC license, and watch over 140 speeches from it on their YouTube channel. Let’s talk about the form of presentation. Every person who gives a speech on the TED has a maximum of 18 minutes for their presentation. Even though a lot of presentations finish before the time limitations. The longest speech at TED was 35 minutes long which is still pretty short from the first sight. Why this form of presentation is so good? Well if we are going to show something to people or talk to them and we have a little amount of time we are focused on the key things that are most important and that we want to share with the listeners. This works both ways because we have to prepare a very complex presentation and our listeners will focus on what we are saying because we have no time to repeat and every word of our speech is important. Okay, we talked about the origins, places, and form of conference and presentations. Let’s take a look at the most important part of every TED: people. A huge variety of famous personalities has a speech at this conference. Scientists such as Stephen Hawking or Jane Goodall, specialists from the various field like Bill Gates, Richard Dawkins or Naomi Klein, and a lot of politicians, social activists, and celebrities. There are a lot of people that made a speech that actually made a huge impact on the world. But TED is not only about huge names and brands. The idea of the conference is to promote things that are worth it, solutions that can change the world, speeches that can have an influence on people lives. That’s why there are other versions of TED. And they are as successful as the main event, even though they are independent of it, but share the same idea, form, and regulations. TEDx can be organized by anyone who acquires the free license from the TED organization and will keep up to the terms and regulations of the event organizers. Next, we have TEDx Youth, and as the name says – this option of the conference is directed towards youths at their 13-17. TEDx Woman – Rules the same as the TEDx, but the presentation and topics are directed towards women. Also, most of speakers and listeners are women too on these conferences. Finally: TEDx Kids – based on the same rules as TEDx Youth, with a similar program but prepared for the kids from primary schools. There are also various smaller programs, prizes and more associated with TED, such as TED Prize, TED Fellows, TEDMED (a conference that covers medical topics), TEDBooks and TED-Ed Clubs. As we can see TED is a huge project that everyone can join and be a part of. Great idea, with a great solution and great people. Now as we know what TED is and how it works we can finally talk about the main topic of this article: Sales People at the conference and their speeches. Yes, amongst the science, world problems, technology, medicine there is still plenty of room for presentations about sales and sales solutions. They’re of course delivered by specialists in this branch. And a lot of them contain very important information for fresh and veteran sales people that can help them with their job. Some of them are more motivational and some are innovative. Below you will find a ranking of them sorted by the least to the most viewed as for 2019. 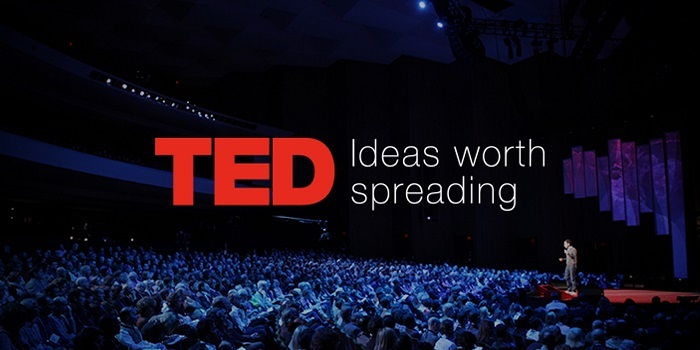 Let’s jump in and check out the best TED talks for salespeople this year! What if we tell you that one speech can change your life? Can change your point of view or the way you operate in the world? What if you are trying so hard but not succeed when the solution to your problem is at your fingertips? These and other questions are answered in all the speeches you can find below. All of them are very helpful on your way to achieve your goals in sales, and what is making them even more special – they apply not only to sales but nearly to every sphere of life. Below you will find the most viewed and recommended TED talks that every salesperson should watch and listen to at least once. We have every pleasure to invite you to take a look at our top TED speeches for a salesperson for 2019. Let the fun begin! We start our journey with a speech that don’t apply to the sales directly, but it covers the topic of inner workings of the business world. The conclusion of this speech is reminding that value is relative and “all value is the perceived value”. This is a concept that is very often forgotten but very important to salespeople and marketing specialists. He also says that the persuasion is more effective than compulsion. Mr. Sutherland shows his point through the various funny examples such as train travel or how placebo works or with the use of the actual history. Very educational speech, full of valuable information and knowledge. Diversity in business is the topic that always rises up the debate. There are people that believe that diversity is a thing right now, and we don’t have to change anything. There are also some people thinking that there is still not much diversity in various positions in business. Miss Lorenzo explain how she found out that creating diversity in your business can lead you to more innovations, more value, more sales, and success. She did it with telling her own story about how she as a manager on the delegation was often the only woman in the room. She explains what are, and how dimensions of diversity work, and how it can improve your business and life. Great speech for everyone who wants to improve and develop. A small, starting up businesses, or even a single salesperson frequently have a huge problem. Even if their product is something entirely new and innovative they struggle from the lack of sustainable and repeatable sales process. Author of this speech, Donald Doane, uses his own experiences and knowledge to show you the process of sales, starting with identifying sales through closing them and growing them at the end. He also shows that every starting company is going through the same process of “crawling, walking, running and flying” before they achieve their goals. Definitely worth watching, a lot of elemental and additional knowledge here. “The primary fundamentals of a sale – is trust”. This right is spread to people in a very interesting story about sales, and how similar it is to the love affair/romantic story. Mr. Vincent clearly shows how gaining trust, engagement, and interest can change any possible deal into success. He shows some facts and explains how the “romantic rules” are connected and work together with sales in order to make a transaction. Unconventional solution and very interesting delivery – that’s why this speech is amongst the best ones. Throughout the years people tried to make our life simpler, more enjoyable and more entertaining. They tried to make an evolution of the product they wanted to sell to make it simpler to use. And this is true, but not the entire clue of this speech. David Pogue, in a very funny, full of anecdotes and in an effective way show us that simplicity sells better than excessive content and strategies. He explains it with his own knowledge and stories and proves his point to the people in a great way. If you work in marketing then try to advertise every possible service for every possible industry you sell for. Or you can simply try one or two key offerings and jump with them into the niche. The decision is yours but remember – simplicity sells. As we said earlier – trust is one of the fundamental factors of sales. It is important to the level that we can say: no trust – no sale. But what if our trust direction changed along with technology development? Have you seen that we started to trust strangers more than we trusted companies and corporations? Rachel Botsman delivers her explanation of this situation with the example like social media and social services like transport, food delivery, etc. She tells us that we have to trust the idea and platform, but we don’t have to trust the other person in the traditional sense. The very good and lightweight presentation that covers this rarely talked topic. Have you ever imagined what will happen if we combine physical experiment with making a business? We have a lot of reactions, a lot of everyday situations that works both in our lives and in sales and marketing. And Mr. Obeng proves it with his speech. He explains how the world that we knew 15-20 years earlier doesn’t exist anymore and how it changes every day now. If you want to achieve the success you have to keep up with changes and embrace them. Energetic and passionate presentation about how the faster exchange of information has changed the business world. Useful and important knowledge for sales specialists. Nowadays we are in still running “rat race”, where everyone is trying to get the best results and thinking just about them. What will happen if they don’t achieve success after their hard work? Miss Pesce answer this question with the advice about “How to destroy your dreams in 5 steps”. She explains how these five steps can lead to failure in everything, not only business but in life too. This is some crucial knowledge for salespeople. For example, making a good deal always require a lot of work and time and don’t happen overnight, so to achieve the goal you shouldn’t believe in it. A fast and very complex speech of truth. We’re all making choices. Some of them are good, some of them are not at all. We’re making decisions on a different level, less and more important. In business making a choice is even harder than in everyday life because sometimes the future of your company is connected with these decisions. It applies to sales too – for example, if the customer has a too wide option of choice it will probably scare him and he chooses not to make a choice on your offer. Sheena Iyengar explains how to improve the experience of choice and implement it to the sales. “There is only one thing that all successful companies have in common – none was started by one person” – these words from Ernesto Sirolli are very important to us as a people, salespeople, businessmen and more. Dialogue is the key to achieve goals, to follow the needs and provide solutions. Mr. Sirolli uses his own experiences from his work to explain that we fail and we don’t recognize there is a problem because we don’t ask. And we don’t listen too. We probably don’t have to remind you that listening is a base skill of every salesperson around the world – without it, you will not sell anything. Magnificent speech from a very wise expert. The small things matter – and this speech of Mr. Marsh will prove it to you. Because of our careers and we miss a lot of our everyday life. We don’t have time to take a breath, to feel for a while instead of cold-calculate everything, we don’t see the small beauty of the world around us. For most people, there are two ways of coping with this: work but sacrifice life, live but sacrifice work. The second sounds great but, it will begin to be kinda hard, especially when we run out of money. The key to getting rid of this decision is to find the golden mean, the balance between life and work. And from this speech, you will get advice on where and how you can do it. You will see why it is crucial to you as a salesperson to find it. Everyone has something we call a dream job. The job that we will love to have and do. One wants to be a writer, one wants to be an actor, one wants to be a second Bill Gates. But a lot of people forgot that a dream job isn’t about dreaming. It’s about hard work. Shonda Rhimes, a successful TV persona has her dream job that she loves. But after a long time, she has lost joy in doing it, felt burnt out. So she decided to try an experiment – say yes to everything for a year. She explains how it worked and how it save her career. There is a magical question that a lot of people kept asking for years: “How to succeed?” Well, the full answer isn’t simple, but it can be delivered in 3 minutes and in 8 words. And Richard St. John proves it with this speech. In this presentation, you will find out the 8 crucial things you should do to achieve success. And what’s important these things, these words came from the successful people that Mr. John had interviewed through his career. So as we said: it’s not simple to fully answer or explain “How to achieve success”. But it can be done fast, and incredibly well with just 8 words. One of the principles of sales is that “no one will buy anything from a sad person” one. Which is true, but what if you are a salesperson and you don’t feel happy at all? Mr. Achor might deliver you a solution. This great writer, author of popular books about happiness in his ted talk explain something he calls the “happy advantage” With the jokes and his life stories he delivers a very worthy knowledge. Also, he believes that with a little work, and simple methods we can redirect our brain to happy and positive thinking way. Very funny and interesting speech that show off the problems of today worlds and deliver a solution to how we can cope with them. And we should remember that if you want to sell something to someone – you need to become happier in the first place. If you are salesperson then you will definitely know how powerful tool is your speaking ability. Even more – this is your basic work tool all the time. You use it to communicate with your customers, your family, your friends. And you probably realized much earlier that the way you are speaking shapes the way you act and do things. Miss Boroditsky, well known Cognitive scientists show how the differences and diversity of vocabularies, grammar, and structures have a great effect on our mind, behavior and overall points of view. With this knowledge, you can start using the advantages of the language, and consequently increase your sales to achieve success. Interesting and educational speech, definitely a must watch for every salesperson. This speech is very different than the others on this list. It doesn’t cover a single problem of today world, it doesn’t explain directly any sales or marketing issues. But it definitely does explain what’s wrong with them overall. Morgan Spurlock, a movie director and the scientist in one person (Super Size Me) present his idea for a new movie about marketing and selling. At first try, every sales specialist has rejected his plans and offer. Then he realizes why they don’t want to work with him and decided to do research on this topic. The outcome is very interesting and can be very useful for salespeople. Knowledge-packed in a humorous and well-delivered presentation. Great content for everyone who works in sales. On the last place before the podium, we have a great speech from Angela Lee Duckworth that can open the eyes of every salesperson. Well, have you ever thought why do some people are more successful than the others? Some have better results or achieve their goal faster? What factor does it depend on? Knowledge? IQ? Intelligence? After doing her research Mrs. Duckworth explains that these factors are important too in that processes – but none of them is a warranty of achieving success. And what’s really matter is “grit”. Short, but very important speech for people associated with sales. The lowest part of the podium belongs to a figure well known amongst the salespeople. Simon Sinek, a great author, whose book is on the NY Times Bestseller list made a speech that can blow minds of every people that working in sales sector. He explains the “golden circle” of sales, and why some companies are more successful than others as a result of sticking with it. He shows that people don’t buy what you are doing, but why you are doing it – and he has the proofs that this is the key to selling anything to anyone. Must watch for every beginner and veteran in sales. Right before the winner, we have a magnificent speech by health psychologist – Kelly McGonigal. Stress is everywhere now and it’s level varies depending on the situation. What we must say is that sales in one of the most stressful jobs we can put here. The amount of stress in it are so high because of a lot of pressures on salespeople. Most of the researches show us that stress is very unhealthy and we should avoid it whatever it takes. But what if I tell you that these scientists who told that are wrong? Miss McGonigal have argument and proof to change your mind. She explains how stress can be healthy and what should you do to make it this way. What is interesting even more – stress can help you do things better. If you are stressed out every month in work, this is definitely a try-worthy solution for you. The winner of our ranking is here. Over 8 million views on YouTube speaks for itself. Dan Pink made a very universal speech on TED showing a lot of truth between science and business. To be honest, the knowledge you can get from this speech is very universal to this day. Based on his research and the outcome of the repetitive experiment started 50 years ago he explains how the “traditional reward” motivational system doesn’t work anymore and show us the essence of motivation. And because of that fact, we need something more modern to motivate ourselves. This speech can help you develop various important skills and knowledge that can be very useful in sales. Watch more than, once, 11/10, definitely recommended by everyone who watched it. TED talks are often very interesting, educational and fun. A wide spectrum of covered topics, amazing people who deliver the presentation and more. This is what the TEDs all about. Because of that, we can see there is a huge diversity in speeches we had written about here, but every one of them is connected (less or more) with sales topic. From the presentations on our list, you can gain the information that can help you improve your sales and develop yourself in doing them. We are happy we can deliver this great list to you, and we hope that it will help your business grow. But skill is not the only thing you will need to achieve your goal. You will need potential customers and contact data to them. And this is a thing that can’t be done easily. To simplify your work and help you save your time Datantify can offer you customized databases that can boost your sales up even more.